After witnessing a fatal car accident, a homeless man wanders the streets of Brighton, trying to ignore the new, incessant voice inside his head. But he can't forget the crash, can't get the face of the woman cradling her dying husband out of his mind. She stared into his eyes, his soul. He has to find her. Is Dan mentally ill or has he really been possessed by the spirit of Natalie's dead husband, Joe? If he hasn't, why does she let him into her home so easily? Does she have secrets of her own? 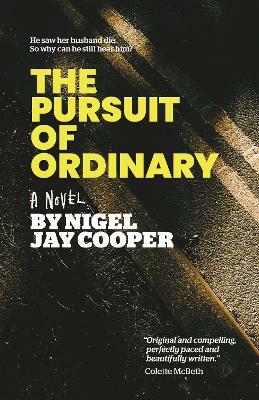 The Pursuit of Ordinary is a twisting tale of modern life and mental health where nothing is what it seems... 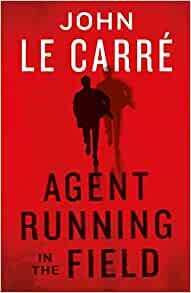 Following the success of debut novel Beat the Rain, Roundfire introduces the second book from bestselling author Nigel Jay Cooper. Nigel is an author, father, businessman, ginger-dog owner and sometimes-runner. He co-founded global social media agency Qube Media and previously worked as a writer and editor for Channel 4 Television. His first book Beat the Rain has fast become a bestseller on Roundfire Books and was Semi-Finalist in the Goodreads Choice Awards 2016 for Best Debut Author. Nigel lives in Brighton, UK.